Board of Control for Cricket in India (BCCI) announces 15-member squad for the upcoming 2019 World Cup. Virat Kohli will lead the team under MS Dhoni’s experience while Rohit Sharma has been named the vice-captain of the side. Dinesh Karthik is chosen over Rishabh Pant as BCCI selected experience over power hitting youngster. 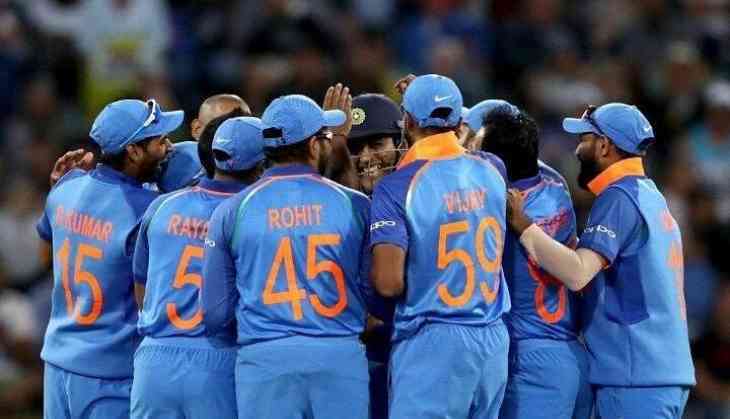 Vijay Shankar too got selected for the 15-member squad because of his performances in the recently concluded ODI series against Australia and New Zealand. Senior players like Ravichandran Ashwin, Ajinkya Rahane, Ishant Sharma, Suresh Raina were left out from this year's World Cup squad, despite Ishant performing well in the recently concluded Test series against Australia and he is in good form in the Indian Premier League. Ravi Ashwin too is performing well in the IPL but couldn't secure a place in the World Cup team.